What a handsome group! 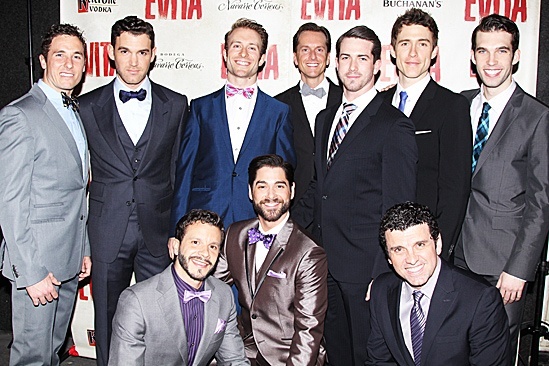 The men of Evita: Aleks Pevec, Constantine Germanacos, Colin Cunliffe, Matt Wall, Michaeljon Slinger, Alex Michael Stoll and Johnny Stellard. (in front, L to R): Nick Kenkel, Daniel Torres and Bradley Dean.